There are only so many vocal exercises that you can do on your own to improve your singing voice. 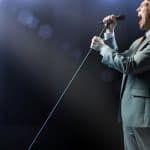 If you have been working on your own and are still committed to becoming a great singer, it is time to take the next step and call a professional voice teacher. However, if you are still in the beginning stages of improving your singing voice, you can find many vocal exercises online or in books. Voice is an instrument which you use to learn the singing techniques. The voice of a human being is the most capable and complex instrument that is known to man. There is a complicated collaboration of vocal cords, tongue, lips, teeth, the change of the pitch of the voice, the use of calculated breath restraint or release, volume, and timbre. The combination of this with some techniques of vocal training will give a breathtaking result to your audience. So don’t worry, even if you aren’t a singing idol yet, still you have got a certain desire and drive to sing by your heart and your diaphragm. 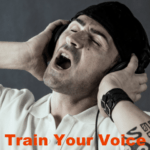 There are many methods that can train your voice. But they vary from easy to difficult. To make a good progress in that professional singing tips or a good coach is needed. Well, here you can find the instruction for your voice that you have been searching for. Internet will help you find the free online singing sessions or lessons to have a better experience and remarkable progress. If you want sing with better singing voice, try to produce a sweeter and richer tone quality. The best way to accomplish this task is by learning some simple exercises, and understanding the two important concepts. This way, your voice will have a good sound in no time! There are various options in the form of practice tips, voice exercises, and professional advice to overcome your fears and hesitations, vibrato, proper breathing techniques, good diction, other basic singing instruction. 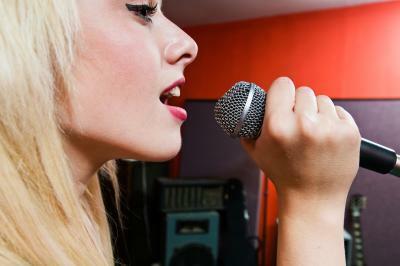 These comprehensive guidelines will help you get started on your way to become a good singer. So, don’t worry, if you don’t have a voice that is required for good singing. Just follow the simple tips. They will help you to sing more confidently and efficiently. Wondering whether you will be able to sing at all just because someone commented that you are tone deaf or that you were going off the pitch while singing. Well, ignore such comments and realize that it is they who are ignorant. 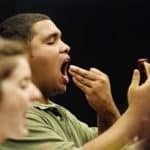 Unless you are a deaf-mute or have some disability in your throat or vocal chords, anyone can learn how to sing if they put their mind to it and what is more they can even become a reasonably good singer depending on their commitment levels. All those wonderful singers out there went through the rigorous time of vocal exercises, regular singing lessons and all the activities that helped to reach stardom. They didn’t just become super singers overnight. Hence, it is only a matter of doing your best to improve your singing quality, persevering to increase your voice range and master all the techniques you need to develop your vocal capability, and you too can attain stardom if you so wish. Below are the things and vocal elements that you need to improve in order to take your voice to the next level in no time. This term is used to describe your ability to move smoothly and quickly from one note to another. In this process, you’ll land on the exact note without sliding up or down to get the right note. When singers speak about vocal agility, they refer to the aspect in singing that is usually unknown to many people. This term is important because it shows the difference between a great singer and an average singer. If you try to develop your vocal agility, you’ll see a big improvement in your rhythm and pitch. When you speak of resonance, the singers understand this word as the area that separates those who have a thin, timid-sounding voice and those who sing in a powerful-sounding voice. That quality of sound that emits a fuller and louder voice reverberates inside the resonator located in your chest, sinus capping, and throat. Diction is as important in singing as the tune of the song. If you cannot pronounce your words well, no matter how good a singer you are, your singing will not take off. Many people have spoilt their singing career due to sheer negligence in diction. The sound of vowels, the emphasis to be given in different words, the clarity of sound and the proper pronunciation of words need to be developed with proper training. And this can be achieved only with the help of a music coach. This requires constant monitoring in the early stages of learning how to sing and only he can spot the mistakes you are committing and correct it before it becomes a habit. But if you have only very low levels of pronunciation problems, then you can correct yourself. Just record what you are singing and replay and listen carefully to see what mistakes you commit while singing. This method is suitable for correction of diction, correction of pitching mistakes, tune mistakes, voice throw, etc. 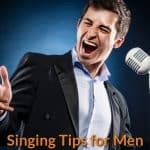 So, if you take your singing seriously and learn methodically and dedicate some time to practice and exercises, you are sure to sing like or even better than a professional. The next step is to realize your vocal range. Different people are gifted with varying levels of pitch. For instance, a medium range voice can sing the medium register well, and a low range vocal capability will allow you to sing the lower register well, and the same goes for high register. 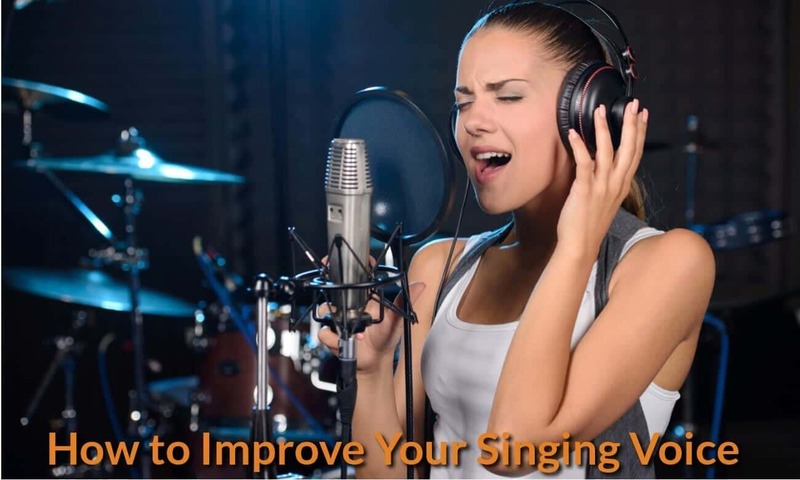 Discover your comfort levels and try to choose songs that are within your vocal range so that you do not damage your vocal chords by straining them. However, remember that you must constantly strive to increase your vocal range so that you can expand your repertoire of songs. This needs exercising of vocal chords with tongue and lip rolls. You have to go up and down scales gradually increasing the pitch in which you sing. Try to expand your vocal range by practising on the songs with higher notes and lower notes. It is important to develop your mix voice because it eliminates any cracks and breaks in the sound. This gives you the ability to sing powerful high notes without experiencing strain. Your mix voice is the combination of your primary registers in the head voice and your chest voice. A strong mix helps you to reach those notes without too much effort rather than force it and experience strain on the higher notes. This is the most important way of being a real great singer. Try to master this technique and you’ll see the rewards in the end. As an extension of your breathing, posture plays an important role in good singing. All your deep breathing will not be effective if your posture is slouched or stiff since this reduces air flow through the body which is essential for singing. So, stand with your feet apart, arms extended a little away from your sides and head and shoulders thrown back so that your voice comes from deep down and your voice throw will be better. This will help you to draw in more air whenever you take a breath and release it slowly as you sing. This is one of the important lessons in how to sing easily and well. You can start with your posture as it is the most easy element to improve. Do not bend your back or sit or stand in a slouchy manner that will constrict your body organs restricting the flow of air. Your back should be straight, and your chin slightly tilted upward. This will help you to inhale and exhale properly. The correct breathing technique is another important factor in getting a good tone. Observe how infants breathe; they have a proper breathing technique because they only move their stomach during the inhale and exhale process. In the case of adults, it is important to remember this baby’s breathing technique. Practice breathing without moving your chest and shoulders excessively. Don’t worry if you cannot perfect it at the beginning. Just take in a big amount of air and forget worrying on how to do it. Just don’t mimic those who hardly inhale or hold their breath. Proper breathing is a magic mantra for singing well. For this purpose, deep breathing is essential. Deep breathing exercises and practice of breathing techniques while help in singing well and soon it should become a habit that you breathe well automatically. This will also allow you to hit all the high notes without cracking and your voice will remain consistent throughout the song. Your singing coach is the best person to teach you the breathing techniques. You may wonder what body fitness has to do with singing. Breathing requires lung power and stamina, and this can be developed only through physical exercise and deep breathing exercises. Breathing techniques are the way to improve and strengthen your voice, develop tonal quality and acquire the sustained way of singing. Learn to breathe from your diaphragm deeply. Deep inhalation and slow and steady exhalation will help you sing long notes without breaking and cracking your voice. Hence all your exercises should be aimed towards developing your lung power and strengthen your throat muscles. Workouts and cardio exercises such as running, jogging, HIIT (High-intensity interval training) and aerobics are some of the best exercises you can do to improve your stamina, lung capacity, breathing smoothness and overall physical fitness. Thus, doing these exercises regularly will set your body condition up for better singing performance. You’ll have an improved tone quality once you stop pushing your voice. If you want to learn this, a simple humming exercise can help you do it. Allow your natural tone to shine! By doing this exercise regularly, you can be sure to improve your singing voice in no time without too much effort. Remember This – if you feel any pain when singing, it means that you’re not singing well within your vocal range. When you feel the pain when singing loudly, for example, the reason is that you’re experiencing lack of voice support. This problem occurs when you’re doing an improper breathing technique. When you feel the pain when you’re singing very low or very high notes, it means that you’re straining your vocal cords. Hence, how will you learn speech level singing? This singing speech level technique is a combination of various powerful exercises which will develop unbelievable results from your voice.